Roy Cameron spent most of his academic career in the Faculty of Applied Health Sciences at the University of Waterloo, where he retains the title of distinguished professor emeritus in the School of Public Health and Health Systems. As executive director of Homewood Research Institute since 2013, Roy guides and helps deliver the Institute’s ambitious research, education and community service missions. 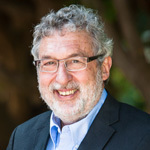 A former visiting scholar at Stanford University who studied clinical psychology at the University of Waterloo and interned at Duke University Medical Center, Roy has long been recognized as a Canadian leader in understanding tobacco control programs and policies. He has worked with organizations including the Canadian Cancer Society, Canadian Institutes of Health Research (CIHR), Heart and Stroke Foundation and the Public Health Agency of Canada to establish and develop the field of population intervention research. He also had leadership roles in creating the Canadian Tobacco Control Research Initiative as well as the Population Health Intervention Research Initiative for Canada. Roy has been part of advisory boards and committees with the CIHR Institute for Cancer Research, the CIHR Institute for Population and Public Health, the National Cancer Institute of Canada, the Canadian Cancer Society and the Canadian Academy of Health Sciences. He is a fellow of both the Canadian Academy of Health Sciences and the Society of Behavioral Medicine as well as an honorary life member of the Canadian Public Health Association. He was also one of just 10 scientists to receive the National Cancer Institute of Canada’s Diamond Jubilee Award.